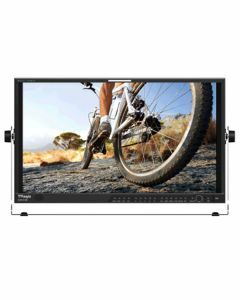 21.5 Inch 3G Multi-format LCD Monitor with Gennum VXP & Lattice. Featuring Audio Disembeder, Internal Speaker, HDMI Input & Waveform/Vector scope. LVM-212W is an ideal rack-mount monitor for video wall in control rooms and OB Vans. Inside the beautiful slim bezel design that just fits into a 19â€ rack, integrated the wide viewing angle LCD panel with native Full HD resolution and 16.7M colors and TVLogicâ€™s unique video processing technology that enables high picture quality 3G-SDI and all the professional features.